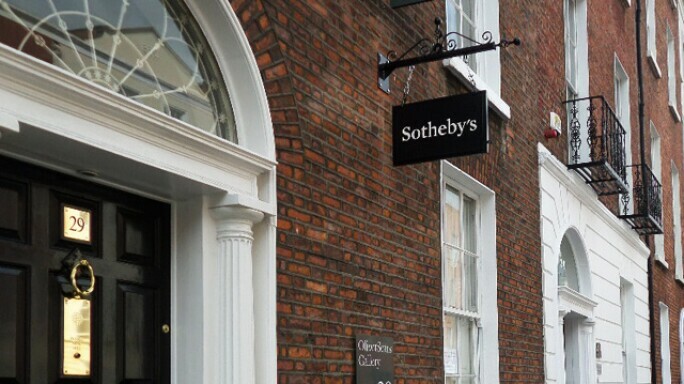 Since Sotheby's Ireland office opened, it has become a valuable resource for local clients. With the help of Sotheby's international experts in all areas of fine and decorative art, jewellery, wine, books and collectibles, we are able to assist you if you have questions regarding buying or selling, or wish to have an object from your collection valued. If you wish to enquire about the possibility of offering a work for sale, please call the office prior to visiting. The Ireland office is also happy to facilitate absentee bids or arrange for the shipment of consigned or purchased property. At present, we are actively seeking consignments in all collecting areas for inclusion in Sotheby's upcoming sales worldwide. If you wish to enquire about the possibility of offering a work in one of Sotheby's Irish Art sales, please click here.